Phase One has announced a 50 percent discount on Capture One Sony or Capture One Fujifilm, the versions of its image editing software targeted for those specific camera systems. In addition, the subscription plan for either version is discounted up to 65 percent. And Style Pack bundles are included, too. All discounts will be available only through the end of the month. The branded versions of Capture One are the full-featured image capture and editing software with complete Sony and Fujifilm camera support for each respective version, including the Fujifilm medium format GFX cameras. Capture One Fujifilm also offers the Film Simulations available in the camera. Use Classic Chrome, Acros or other highly popular Fujifilm presets as the starting point of your editing with Fujifilm camera files. COPENHAGEN -- Capture One is saying hello to spring with a major sale. Capture One Sony & Capture One Fujifilm are now available for 50 percent off for a limited time. The sale covers both the perpetual license and subscription models -- including Style Pack bundles -- making this the perfect time to step up to the industry's premier Raw conversion, image editing and asset management software or to upgrade to the latest iteration. The newest version of Capture One takes a top-down approach to streamline, modernizing and improving the user interface to continue the program's tradition of providing powerful features in a customizable, uniquely-configurable interface, with unparalleled Raw editing, unmatched tethering, color handling and precision. A new and improved toolset complements the improved workflow features, together continuing Capture One's tradition of providing the most powerful image editing tools available, while a new plug-in ecosystem will allow third-party developers to connect their services and applications to Capture One. 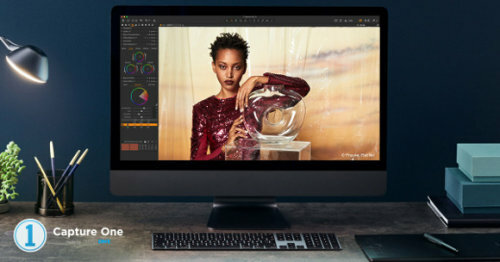 Each branded version of Capture One is the full-featured image capture and editing software with complete Sony and Fujifilm camera support for each respective version, including the Fujifilm medium format GFX cameras. Capture One Fujifilm also offers the Film Simulations users have available in their camera. Use Classic Chrome, Acros or other highly popular Fujifilm presets as the starting point of your editing with Fujifilm camera files.